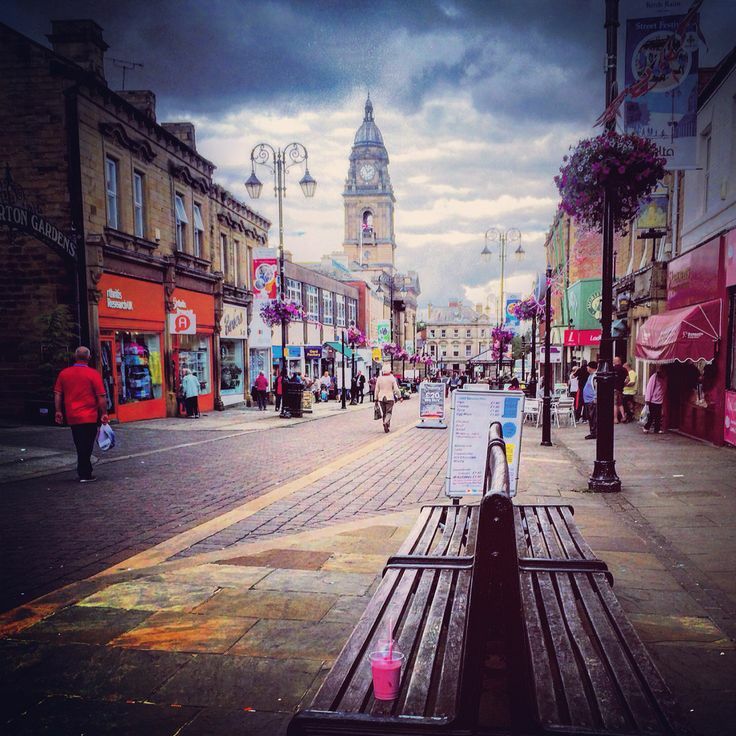 Following a recommendation, we went to Morley in West Yorkshire. It is a suburb of Leeds, on the south side of the city, so very easy to get to from the M62 - just exit junction 27 and follow the signs. Driving into Morley, I noticed there was a new leisure centre, a concrete skate park and a newish play area with space nets. To be honest the space nets impressed me most. Ever since my days working on council play areas, I’ve always had a soft spot for space nets as they look great and have a hint of danger. Perfect for a play area in my books as lots of playgrounds nowadays are really safety conscious and have become really dull places. I was brought up in the 1970s where every playground had at least one piece of equipment with health and safety disaster written all over it that was so much fun to play on. How I managed not to break a bone on one of these things was a miracle – OK, I did chip a tooth and split my knees open on countless occasions. Morrisons car park is the most convenient place to park, as it’s behind the main shopping area and you can park for free for three hours. Morley can be classed as a suburban northern town, a feeder town to the nearby city close by, but distinctive enough to retain its identity. It’s a down to earth, working class town – pensioners with hard worn faces, cash strapped teenagers hanging out with mates and frazzled parents tussling with errant children. Having explored some other West Yorkshire towns recently, Morley isn’t as down at heel as Dewsbury and Batley. 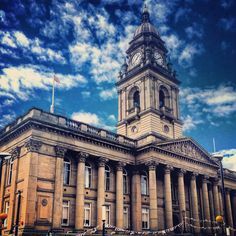 Morley Town Hall is the most impressive building in town. Built in the 19th century, it was inspired by Roman architecture complete with Corinthian columns built from Yorkshire stone. 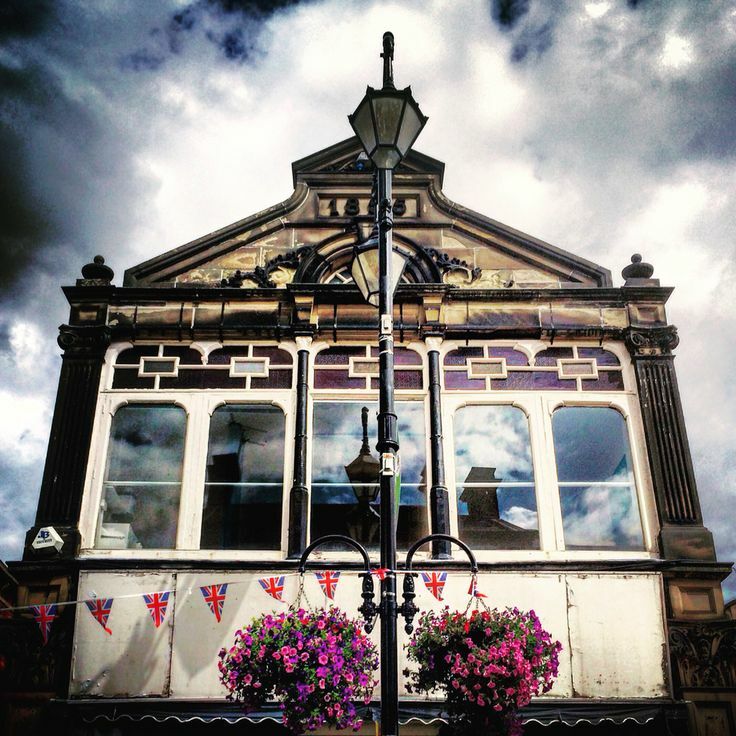 The majority of the buildings in town tend to be boxy Yorkshire stone buildings built in the Victorian and Edwardian periods. Surprisingly we found a statue of Ernie Wise in town – we had no idea he had a connection to Morley! The main shopping area in Morley is pedestrianised and there is a tiny concrete precinct that leads to Morrisons supermarket. The precinct is not very exciting and the most popular feature was the gorgeous bear type dog sitting with its owner. The dog was practically a deity with locals paying homage by stroking its sumptuous fur. It took a significant amount of self-control not to do it myself. On the main pedestrianised street there was a choir busking to 90s dance tracks. I know I should appreciate the hard work they put in to learning these songs, but I wasn’t keen. The arrangements were a bit odd and the pianist sounded a bit inexperienced. Maybe if it had been 80s songs I would have appreciated them more. Still I wanted to punch the air when they finished. In my defence I was traumatised by my experience singing in the school choir as a teenager - I find it difficult to listen to choirs without experiencing some sweat inducing flashback. There’s also an indoor market in Morley. It’s a bit of a maze with no natural light, but it is well maintained with a good selection of stock and popular with locals. I liked the fact it had a good stationery stall as I have a weakness for paper based products and pens. Further up the road, there was a table top sale going on in the back of a furniture shop. Even though the sale was due to close there were still lots of people browsing. It was more like a community event and people were catching up with each other whilst grabbing a brew at the café. I think it was a cunning ploy by the furniture shop to get people in to see the furniture. It was one of those furniture shops that is aimed at older people, stocking sensible biscuit coloured furniture, which are not too low down so OAPs are still able to get up without help. One thing is for certain, there are lots of charity shops in Morley, although one thing missing was a decent second hand book section. Normally Oxfam covers that particular base, but due to a staff shortage they weren’t open. Neil had a very good day picking up vinyl records and also found a “Question of Pop” board game too. In one shop a young volunteer was discussing his ‘A’ Level results – he got a D in Chemistry. My eyes used to glaze over in chemistry with the periodic table - I took physics instead. Not the best choice as it turned out because I was taught by a psychotic teacher who hated teaching. The lad in the shop was considering studying at Huddersfield University. I just wanted to say to the lad, “Spread your wings – go further afield.” I was lucky when I was a student as I received a full grant, rather than now where you have to pay £9k per year for the privilege. I had no expectations of Morley and as a result I was pleasantly surprised. 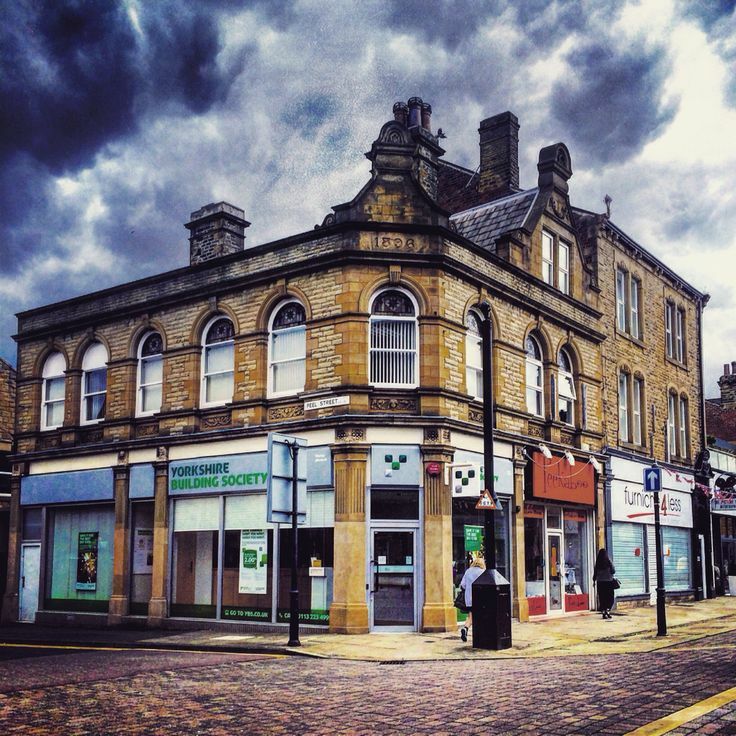 There are lots of towns in West Yorkshire struggling these days, but Morley seems to be coping. 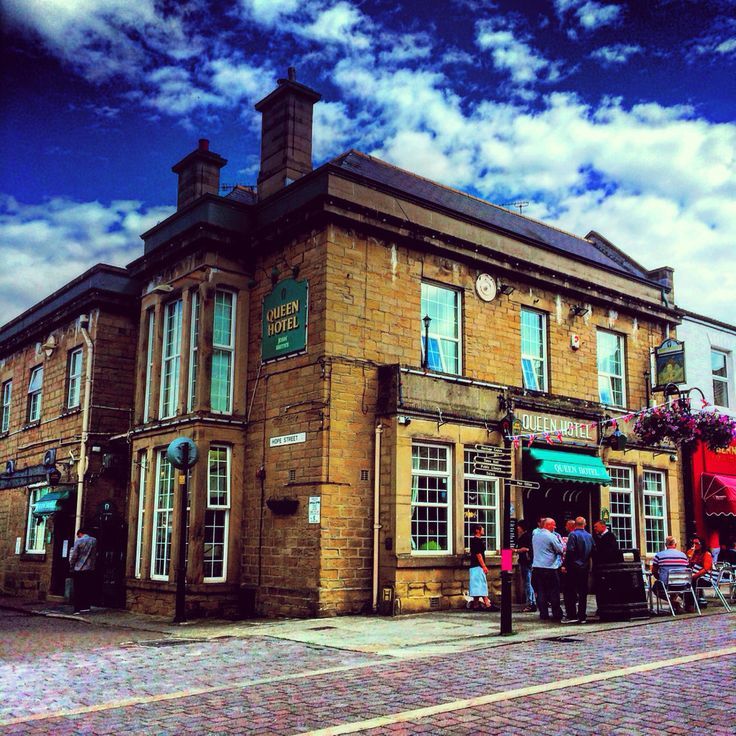 Morley is by no means a tourist destination, but it’s alright and does its job. Obviously nearby Leeds is the main attraction in this part of the world, but as a random trip to check out the charity shops, Morley is a good option.